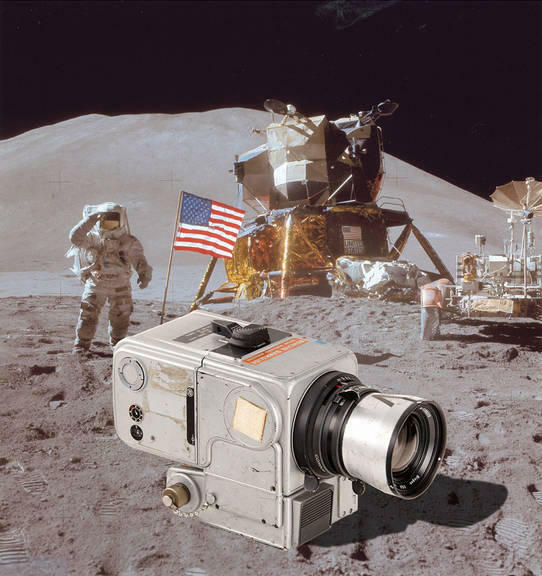 A Hasselblad Electric Data Camera was brought back to Earth by astronaut Jim Irwin in 1971, after the Apollo 15 mission, to become part of Space History. Jim Irwin's Hasselblad Moon camera was auctioned March 22, 2014 by the WestLicht Gallery in Austria for a record-breaking price of 660,000 euros (almost one million US dollars). In Vienna, the lot the camera was in opened for sale at 80,000 euros (about US$ 110,000), and reached 660,000 euros (about US$ 1 million) after a long battle between bidders from all over the world. On March 23, accounts of this auction sale appeared widely on Facebook, Twitter, TV shows and newspapers. These accounts relayed what is most likely one of the first in a long series of record-breaking auction prices for Hasselblad Space collectibles. All this was made possible thanks to WestLicht Gallery and Alain Lazzarini, former owner and consignor of the camera. 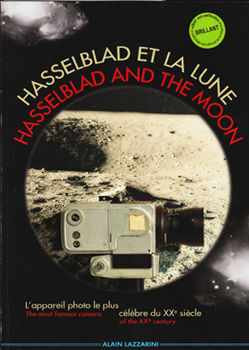 Mr Lazzarini is a long time collector of Hasselblad cameras and author of the reference book "Hasselblad and the Moon". How a few people at collectspace spread rumors and tried to sabotage this sale. A few days after WestLicht Gallery auctions catalogs went online (February 27, 2014) I was contacted by someone claiming to be collectspace's editor. Let's call this person RP. I had already been in touch with many potential buyers from Japan, USA, Russia, France, Italy and other countries and readily answered their questions.